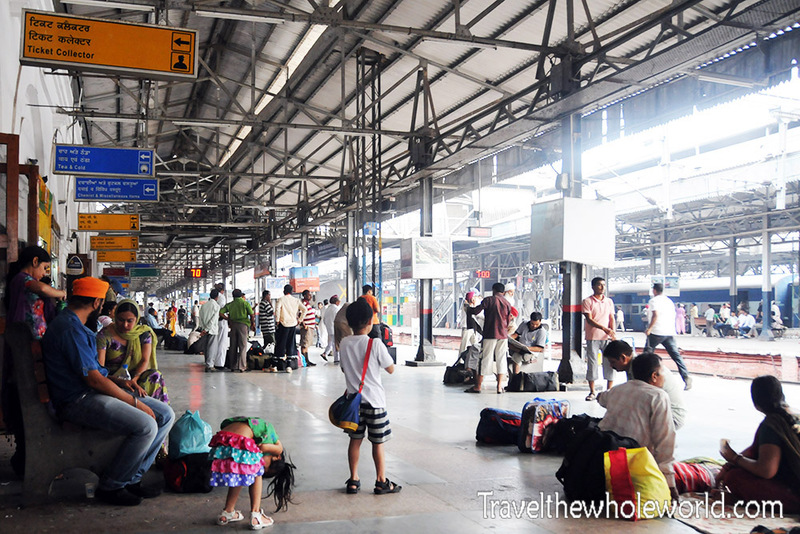 After crossing the only land border between Indian and Pakistan, I took a train from the border town and stopped at the next major city which is Amritsar. I would have visited Amritsar no matter because of its convenience after leaving Pakistan. 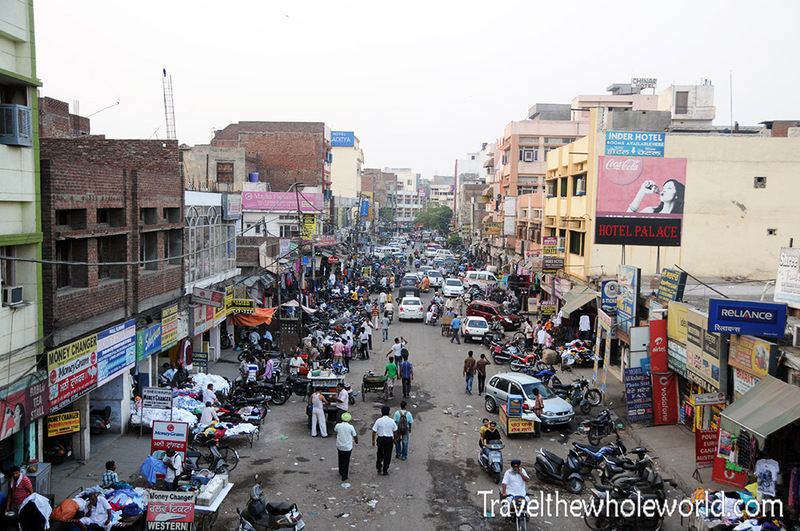 It looks like any other city in India at first, but luckily for me, Amritsar is a major destination with lots of important places to see. 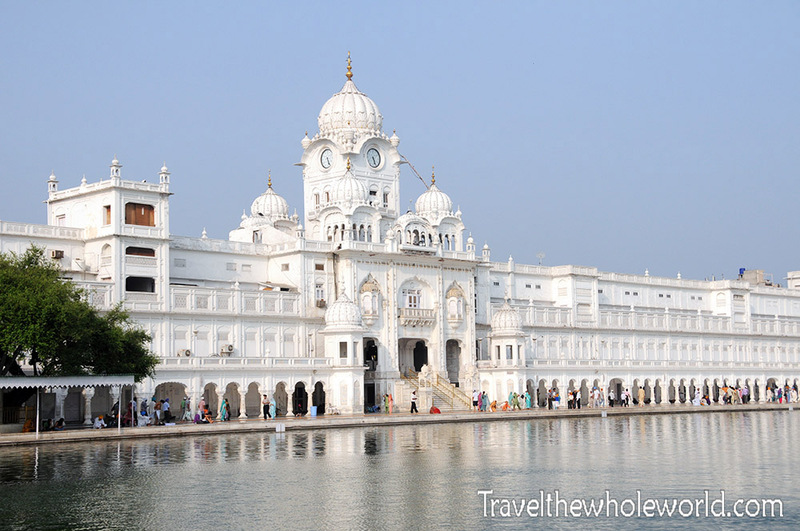 The most important cultural place in Amritsar and one of the most important in India is the Golden Temple. The temple easily became one of my favorite places in all of India that I had traveled to. The palace itself was extremely clean and beautiful with thousands of pilgrims visiting from all over India. The building above was the entrance I used to get into the Golden Temple grounds. The Golden Temple, also known as Sri Harmandir Sahib in Punjabi, is a 16th century temple founded by the fourth Sikh Guru Ram Das. I learned a lot about the Sikh religion while in New Dehli. The Sikhs basically believe that all religions are true and the path to heaven and holiness. This is the same today as it was in the 1500’s when the temple was built. The Golden Temple was created as a place of worship for men and women from all religions, cultures, and races. I managed to explore the city on my walk to the temple. 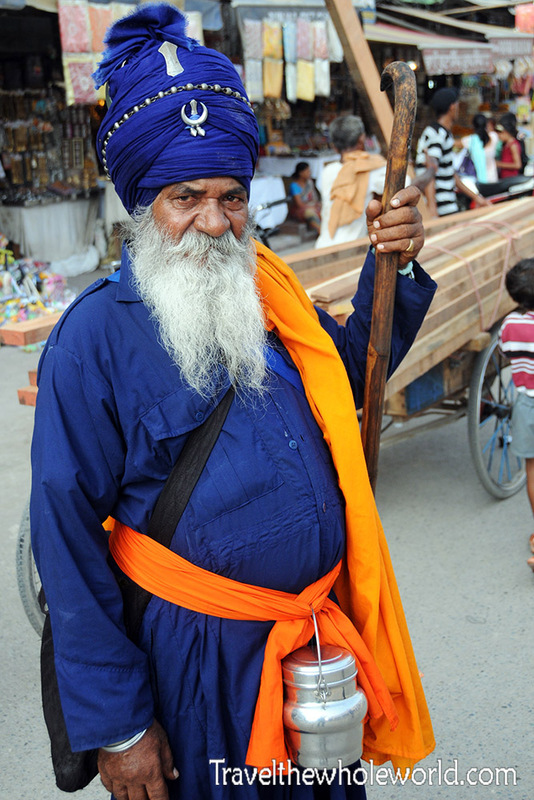 You’ll know you are close when locals start to sell you orange head bands for 10 rupees and you begin to see Sikh holy men walking the streets in large numbers like this guy above. 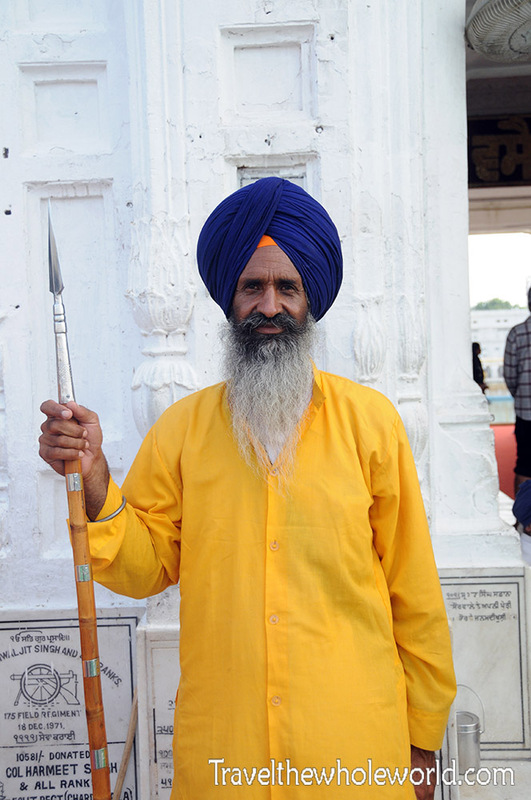 To enter the actual temple, you’ll have to pass some very polite Sikh soldiers. They are all dressed in full orange robes with dark blue turbans. 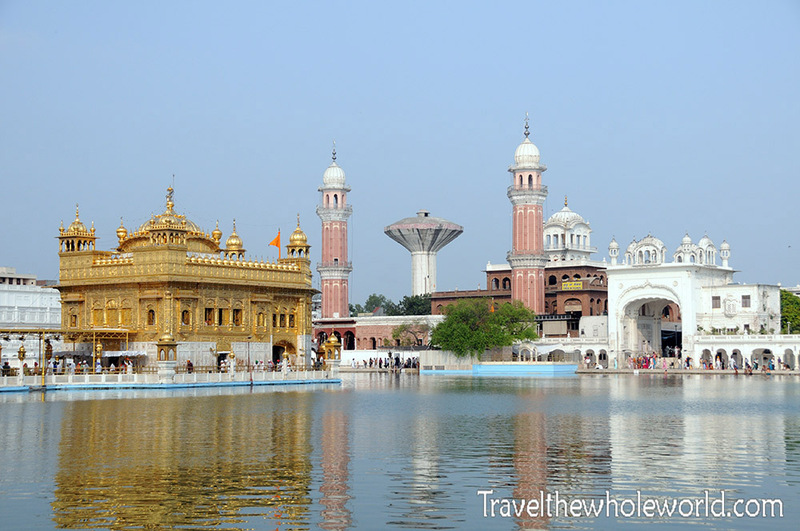 Indian Pilgrims visit the Golden Temple from all over the country. 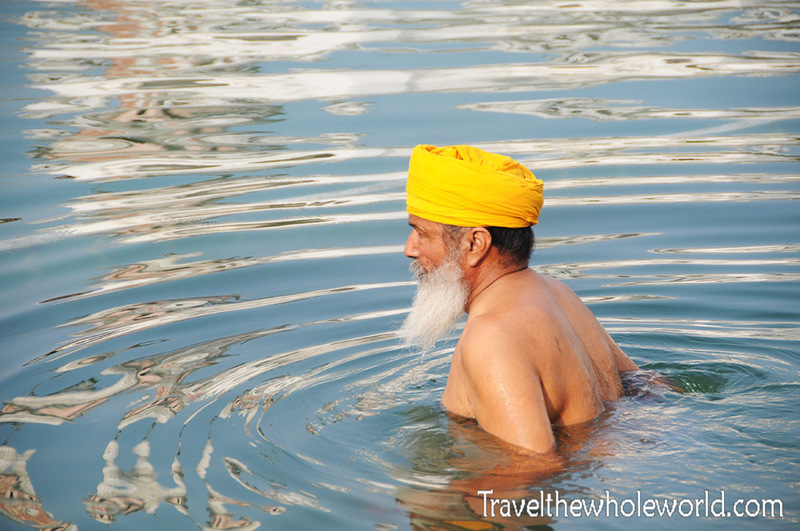 Like the Ganges River, pilgrims also come here to meditate and to bathe in the waters of the temple. I didn’t take a dip in the water myself, but captured this photo above of a Sikh man entering the holy water. 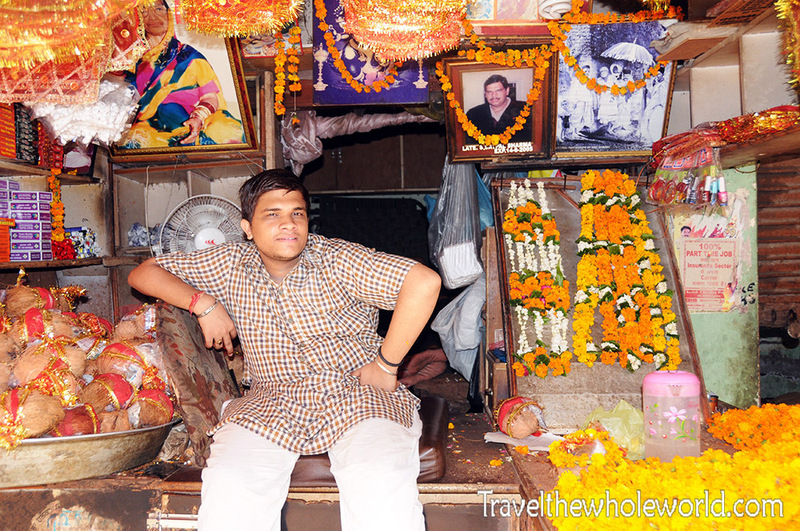 Below is another man meditating inside one section of the temple. 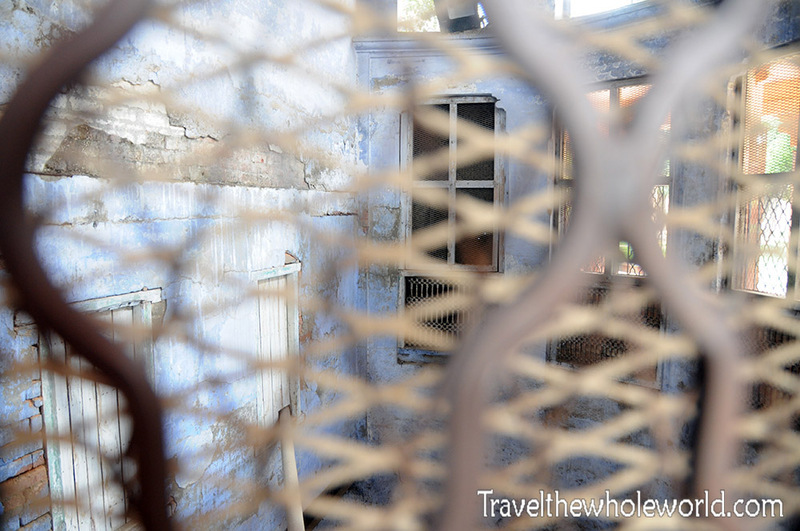 After the Sikh Golden Temple, I went to a completely different temple and experience. 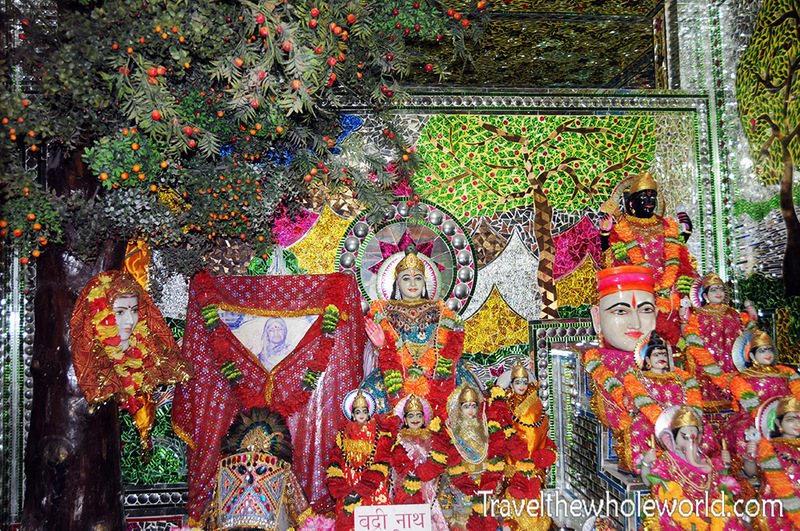 The Mata Hindu temple in Amritsar is a two story building. The bottom floor is more traditional, with people gathered in the center for food and prayers. The photo above and below are two shots I took in the Mata Temple. The second floor was a bit of a surprise to me. It was designed more like a fun house, except it was decorated with Hindu Gods and other religious effects. Instead of walking to different rooms, you were required to pass by many religious statues and artifacts by walking, crawling, and climbing. 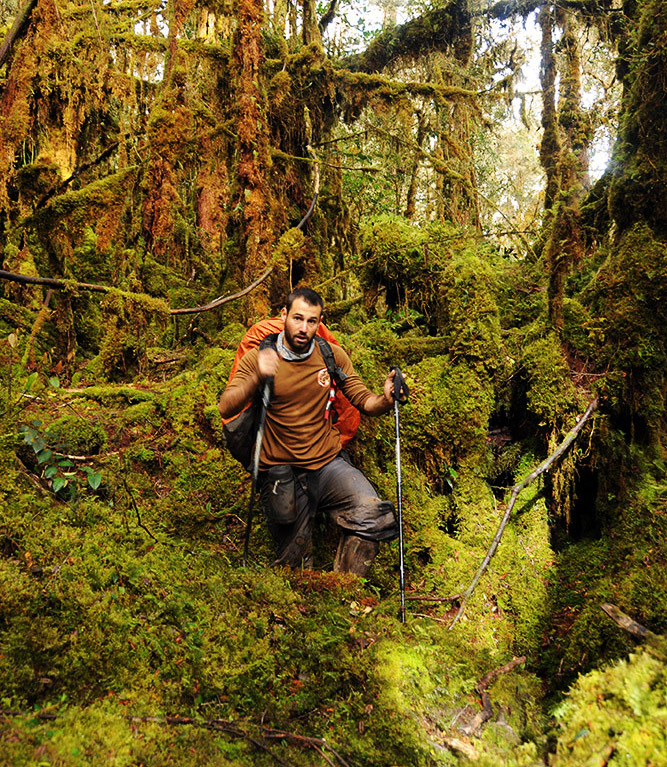 The photo below shows a family crawling through a tunnel. 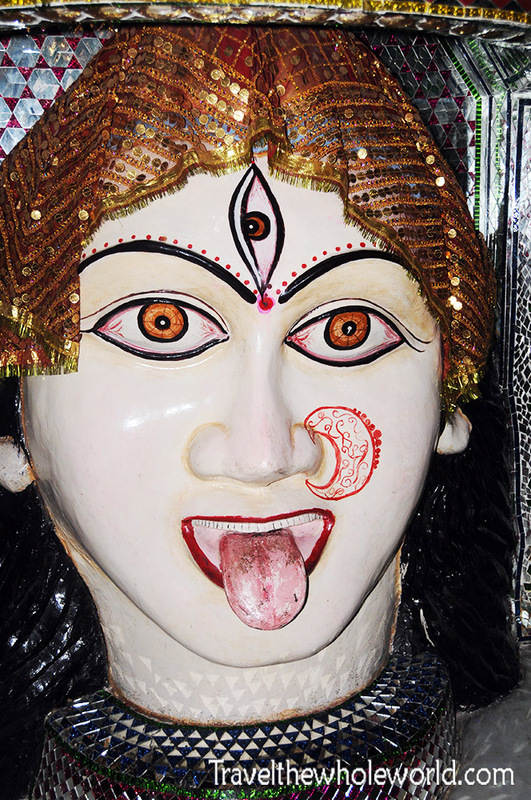 The Mata temple was definitely an interesting visit. Outside this guy was selling religious photos, flowers, and other items that could be used within the temple or for souvenirs. I didn’t get anything but he asked me to take his photo. One of the most significant pieces of recent history happened right here in Amritsar. 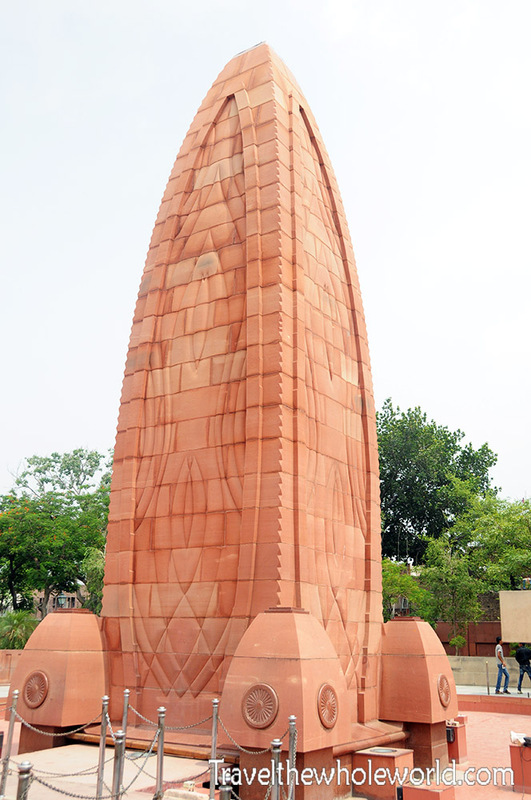 In 1919 the city was the location of the Jallianwala Bagh massacre also called the Amritsar massacre. British rule was becoming unpopular in the area, and several who spoke out against it were deported from the province. Hindu and Muslim leaders who had preached for non-violent change were arrested which led to local violent local protests. Several Europeans were beaten to death and government buildings were burned. British Brigadier General Dyer was put in charge of the city and believed a rebellion was in the works. He put in place harsh laws and banned large gatherings of people. On April 12th tens of thousands of unarmed Indians gathered for a religious festival, many of them were from outside the city and it’s believed they were probably unaware of the martial law being imposed on Amritsar. Upon hearing of this mass gathering, Brigadier General Dyer immediately reacted with force. 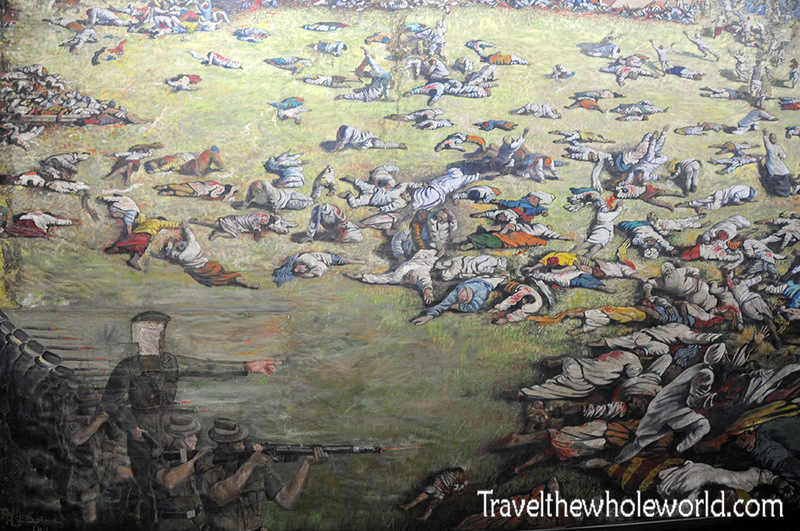 With 50 British soldiers and without warning, he ordered that they fire into the crowd. The firing continued for over 10 minutes until all ammunition was exhausted which killed hundreds of people and injuring over a thousand more. Above is a photo of the memorial built for the massacre. 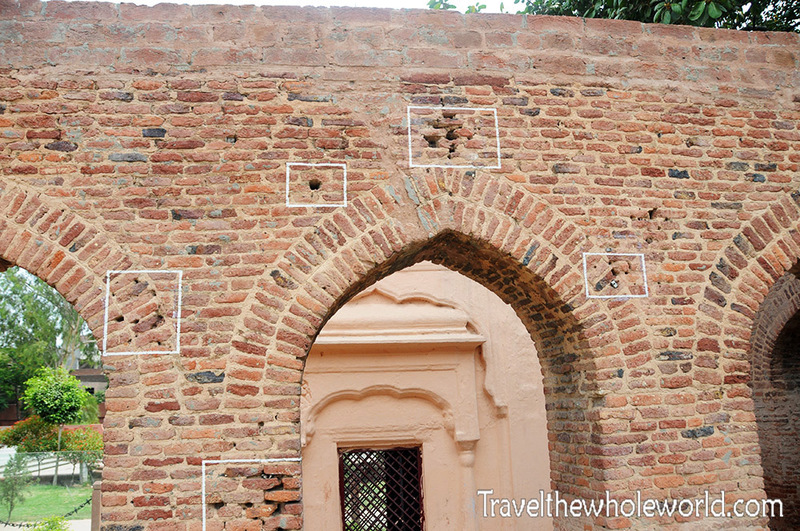 Below are bullet holes still visible in the structures here a hundred years later.